Yep, the road less traveled certainly made all the difference. It added 15 minutes and a ridiculous climb to mommy's run today. Literary as it may be to diverge onto the less traveled road, there is good reason for a well worn path. For one, it is usually the logical route between two points. It is tried and true. People who have gone ahead decided to continue on that path because it was probably shorter and easier. And that makes all the difference when running. Especially when you run for three hours, apparently. After weeks of rainy gloomy weather, there is nothing like a sunny, toasty day to make you forget winter immediately, shed your jackets and go outside. 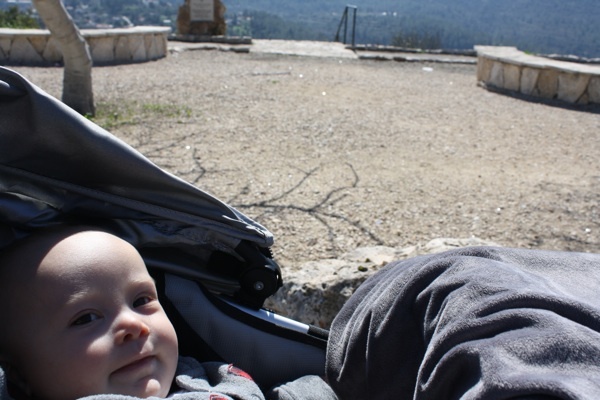 So abba (daddy) and I took a drive out to lovely Ein Karem to meet mommy after her three hour and three minute run. 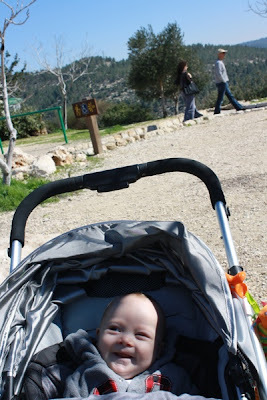 For those of you familiar with Jerusalem, let it be known that mommy ran from our apartment in Baka to Sataf, via the hospital in which I was born. It was at the Ein Karem junction that she took the less traveled road, a rocky path that swung next to the street until it completely diverged into the forest. The forest was green and lush and absolutely scenic. Until it had nowhere to go but up. Mommy told me about the hundreds of stone steps that took her up past ancient cisterns and a Chatolitic village on the way up to the 8-kilometer trail of Sataf. Whew. Painful just listening to her. In addition to the cheery weather, the almond trees are in bloom, blanketing the hills of Jerusalem in white fluff. This gives us hope for the future, and maybe even some short term motivation for a marathon because when Jeremiah sees an almond tree, somehow God relates that to him watching over his words and promises to perform them. Here's the connection (and this is especially for Henry): in Hebrew the word for almond is sheked (שקד) and the word for watch over or hasten is lishkod (לשקוד) - same root letters. 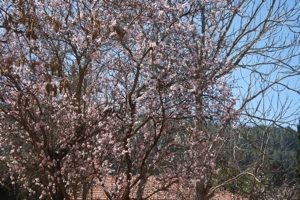 The almond tree is the first in Israel to bloom and is only ready for harvest after about seven to eight months, meaning that even though it may take a long time, God is faithful and is true to his word. And I'm sure you can gather more out of that on your own. Back to the issue at hand: running. The absolute best part of the longs runs in marathon training is when we go out for a nice "recovery meal" as my mother puts it. That's the professional marathoner lingo for what to eat afterwards. 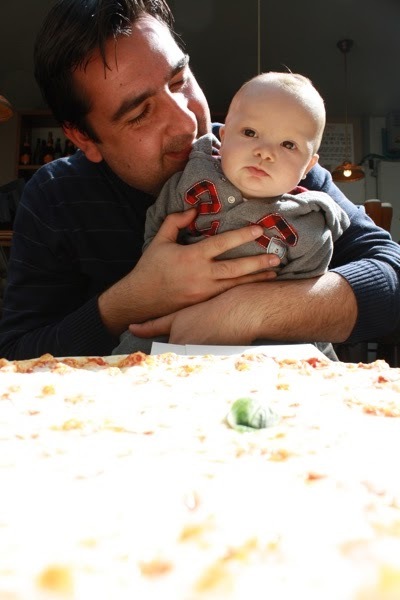 I'm not sure our menu today would make the professional list though: Pizza, cappuccino and gelato. Well, perhaps if the marathon was in Italy! I stuck to my diet of lattes for now. thank you for taking the time to share your adventures and insight. You are quite a wordsmith already, and I'll look forward to reading more! Give your mother and dad a hug from me. 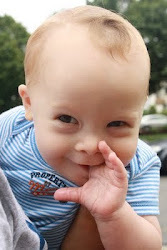 My mommy says I'm still a big boy, so I wanna see how big you have gotten, at least you are two days older than me. How about we go to Sataf together on March 5th?